Low Profile Design: The V-Rack sticks out less than 4" from the wall! 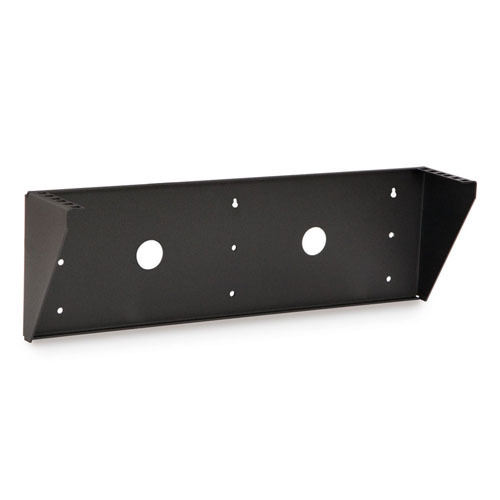 Mounting equipment like this is perfect for applications where space is at a premium. No Depth Restrictions: The open design allows you to install servers, switches, and other network equipment regardless of depth. Multiple Uses: Designed to mount to the wall, under a desk or any surface to provide a 19" EIA compliant rail system where needed. Users needing a 4-point mounting system can effectively do so by using two V-Rack systems.